Kristina is a program manager on NDI's Eurasia team, and works primarily on Armenia, Azerbaijan, and regional initiatives. She joined NDI in 2006, after finishing her graduate studies and following three years as a Peace Corps volunteer working with the ethnic Roma in Western Ukraine. Kristina received her MA in International Law and Diplomacy from the Fletcher School at Tufts, BA in Russian and East European Studies and Political Science from the University of Oregon. 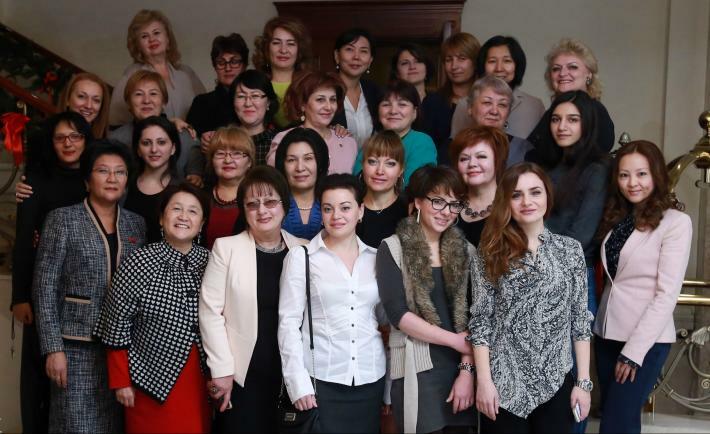 Armenian, Kazakh, and Kyrgyz women activists gathered to learn about holding governments accountable for the impact of laws and policies on women in particular. This December, women activists from Armenia, Kazakhstan and Kyrgyzstan came together for a four-day gender responsive budgeting (GRB) workshop sponsored by NDI to begin wrestling with this problem. More than 30 participants gathered in Bishkek, Kyrgyzstan to discuss the theory and practice of GRB, and to jointly develop GRB programs for implementation in their own countries.